Kik (the company behind the Kin ecosystem) recently launched their first beta app “Kinit” on the Google Play Store. The launch received polarizing feedback with both an out-pouring of positive reviews on the Play Store, but, some tough criticisms from both the community and reporters who failed to understand parts of Kik’s strategy. From the Community: “They aren’t doing any marketing of this launch! Over the next series of posts, I’m going to address each of these points, explain why I believe they are fundamentally flawed, and address why I think Kin’s strategy is headed in the right direction. They aren’t doing any marketing of this launch! One of the main points that the community is making right now, is that Kik and the Kin Foundation are not currently doing anything to promote the Kinit app. “Beta” in technology projects is very different than “beta” games which are normally just early access. Kinit is limited to one country currently (the US). Kinit is only available on Android during the beta. Kin is still testing their new Kin blockchain (based on Stellar). Given the above, there are two reasons why Kik should not be marketing Kinit to the general public right now. Heavily marketing a beta launch, especially to the general public, is a horrible idea. Consumers fall into a number of different categories in terms of their willingness to adopt new products, and their ability to be forgiving about bugs and expectation gaps. When a startup or new product launches into beta, they focus on a “minimum viable product” (MVP) which is essentially a first draft of their product with slimmed down feature sets. This MVP often acts as the beta for innovators and early adopters to help test, refine and give feedback upon. These users are part of an early market that exists outside of the mainstream. They are used to using early, incomplete, and complicated products, and will stick with the products even if there is a lot of friction or frustrating bugs. 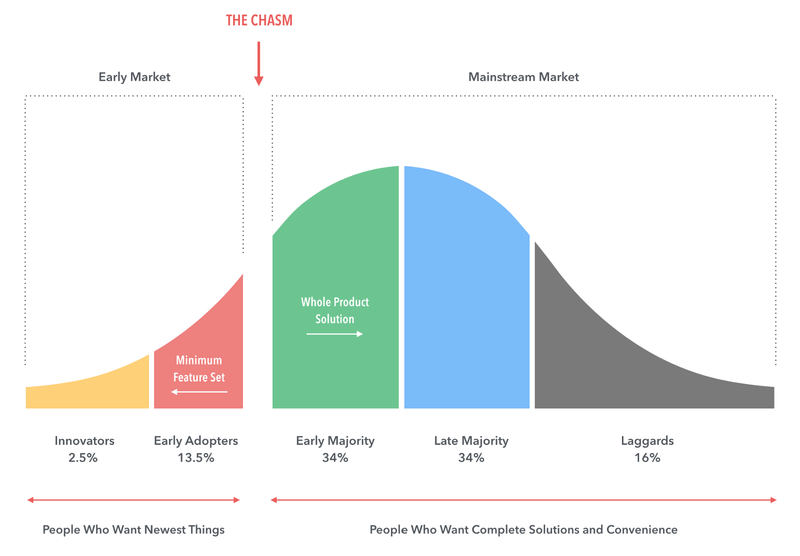 After that early market group, you reach a point called “The Chasm.” This is the gap between early adopters and a mainstream market. “The Chasm” is tremendously challenging for products and startups to cross, and it often ends up being a fatal point in the growth trajectory of most startups. Beyond “The Chasm,” most consumers expect a complete, polished, easy to use and easy to understand product. Frequent typos or grammar issues. Poor support on certain devices. Not to mention that they’ll be far less forgiving on things like the amount of surveys, and amount of offers they want to be able to redeem on a recurring basis. Mainstream users are picky. Unlike early adopters (you) they don’t have emotional, ideological or financial connections to a product. They will look for any excuse to churn out and never use your product again. They also cost more to reach as you often have to educate them on the purpose of the product. 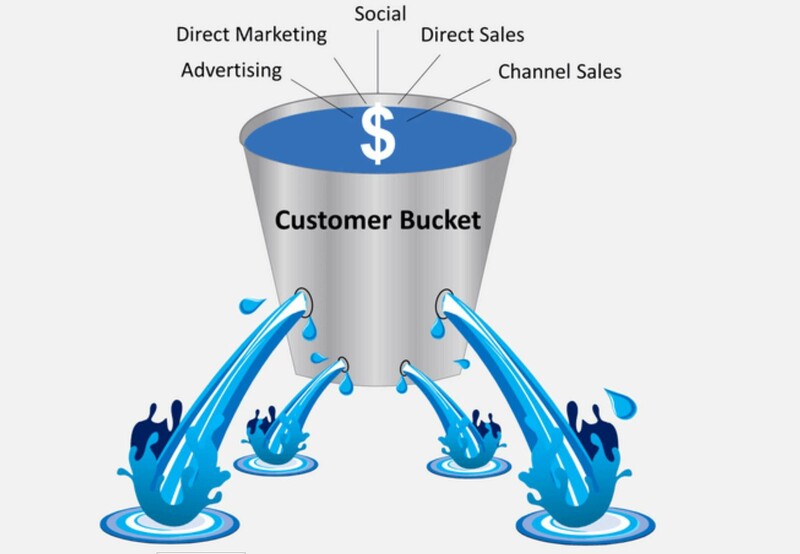 In marketing, when we advertise to new users and try to get them to adopt a new product this is called our “marketing funnel” — the “marketing” that most people talk about is usually paid advertising that takes place at the “awareness” level of the funnel. The most important factor to understand is that we pay out at the top of the funnel, but we profit from the bottom. Think of it like trying to fill a bucket at your tap. You are paying for the water coming out of your tap, but, you are only benefiting from the water that goes into the bucket. But, if you drop any water from the bucket, it goes down the drain and you can never put that specific drop back in your bucket. If your bucket has no leaks, then this isn’t a problem. But, your bucket does have leaks. All product buckets do — but the goal is to minimize the leaks. 100% of users who use iPhone. 5% of users who use an Android device running versions older than 4.4. 100% of users outside the US. Users who are frustrated by bugs. Users who can’t SMS verify. Users who don’t feel there are enough surveys. Users who don’t feel there are enough redemption rewards. New landing pages which are still being optimized. New onboarding flows which are still being optimized. Lack of churn mitigation and reengagement from the app. Paid marketing funnels are tough for free apps, and so they need to have an air tight funnel. You may be thinking “Yeah, but, I hear of developers who get $0.50 — $2 cost per installs when marketing their apps so Kin should just go buy 1M users!” and while that is true, it doesn’t account for retained users and it isn’t viable at this scale. This matter is made worse by the fact that on average only 33% of users retain on apps after the first 30 days. This means Kin could be effectively paying $21-$36 per user (excluding gift cards) which would be a terrible strategy. $1M spent on partnering with established developers, apps that are growing and have higher CPAs due to freemium models, and partnership teams is going to go a lot further than 300,000 purchased users. The goal of Kinit is to act as a central wallet point within the Kin ecosystem, and so as the ecosystem grows users will naturally be on-boarded to the app. Lastly, it’s important to realize that Kik IS spending money within their marketing funnel. They are just spending it in the “engagement” / “retention” part of the funnel rather than on awareness. The gift cards within the Kinit app are currently having their cost compensated by Kik. I’d hazard that the compensation is around the 75% mark. So even if we assume that a user only receives one $5 gift card during their entire beta, then that means Kik has spent $3.75 on making it easier for that user to earn the gift card and retain the user. The app is a beta, and not ready for a picky mainstream audience. Advertising to a mainstream audience before your product is ready for them makes it MUCH more costly to advertise to them in the future. 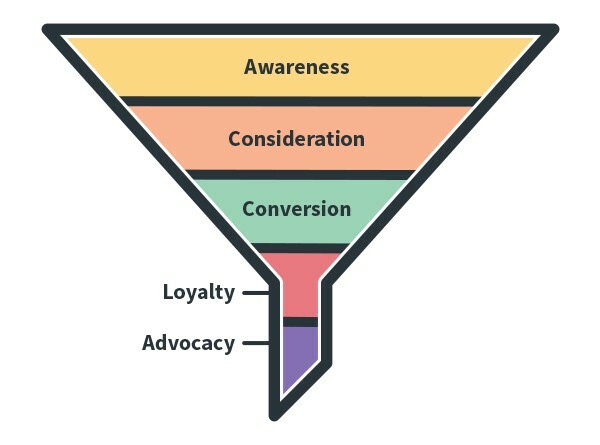 Spending money on awareness campaigns is wasteful until you iron out your conversion funnel. Paid acquisition marketing (at the awareness stage of the funnel) is effective for small businesses. When trying to scale a company to tens of millions of users it loses efficiency and requires a much higher RoI margin that a free app like Kinit doesn’t have. Kik IS spending money on marketing, by compensating the cost of user gift cards in Kinit. This is money spent at the engagement/retention phase of a marketing funnel, which is by far the most cost effective stage. Curious what all the fuss is about? Check out the Kinit app where you can earn and spend the Kin cryptocurrency every day! Thanks to Dillon King, Alex Kenich and The Late Mercutio for their help proof reading this draft. Click to follow and make sure you don’t miss the rest of the series! Thanks to Dillon King, The Late Mercutio, and Alex Kenich.